The English three piece indie rock band hails from Wakefield, West Yorkshire and was formed in the year 2000. In their early days the band started doing many gigs locally which caught the attention of Squirrel Records. They signed a 7” with the record label and came up with ‘Baby Don’t Sweat/You & I’ although it didn’t materialize until 2002. 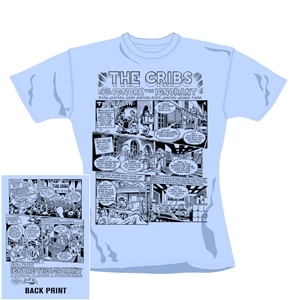 The Cribs has so far released four albums under Wichita labels. Their self titled debut album was released in the year 2004 which became a huge hit. The album reached the UK Album Chart and earned a 96th position. 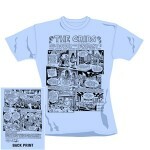 The Cribs came up with their second album titled ‘The New Fellas’ which was released in 2005. The album too made it to the UK Charts and reached #78. Their third venture titled ‘Men’s Needs, Women’s Needs, Whatever’ peaked at #13. Their latest album titled ‘Ignore The Ignorant’ was released in 2009 and peaked at #8 on the UK Albums Chart.